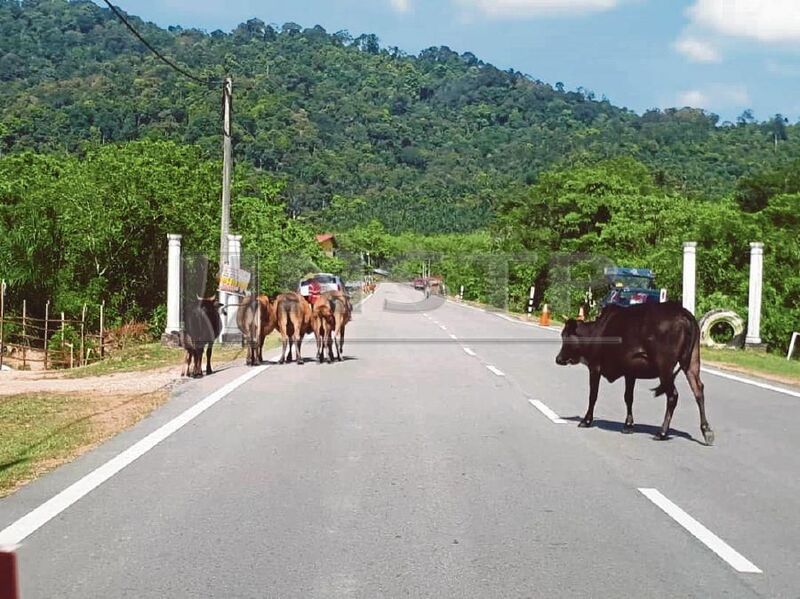 RESIDENTS in Machang, Kelantan, want the authorities to take stern action against cattle rearers, who let their animals roam the streets. Siti Nadirah Mahmood said the cows posed a danger to motorists, especially at night. She claimed that her car almost rammed into a buffalo recently when the animal suddenly crossed Jalan Kota Baru-Machang. Kelantan Traffic Enforcement Investigation Department chief Superintendent Markandan Subramaniam said signboards have been placed at strategic locations to alert drivers to the animals. Subramaniam advised motorists to slow down every time they saw the signboards.